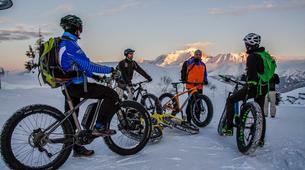 Still relatively new in Europe, Fatbike is all the rage and has been for over 10 years across the ocean in the US! 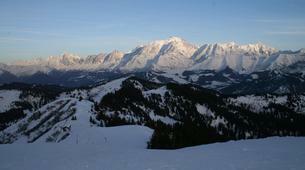 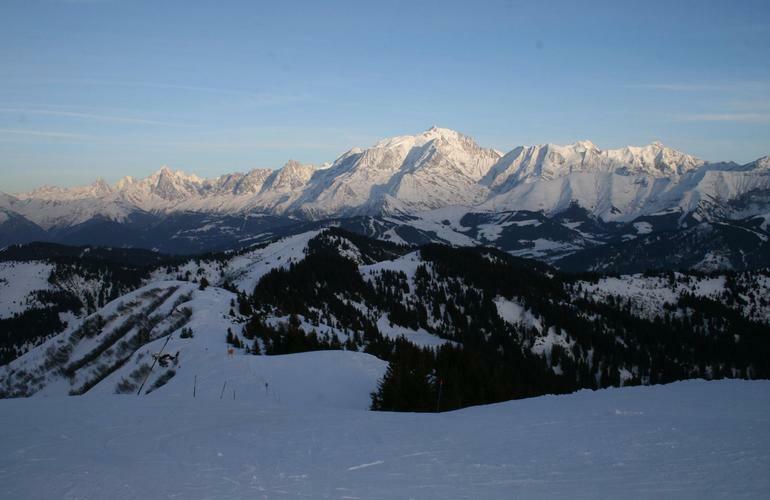 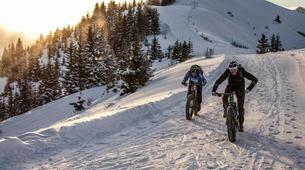 · Night ride using headlamps – thrills guaranteed! 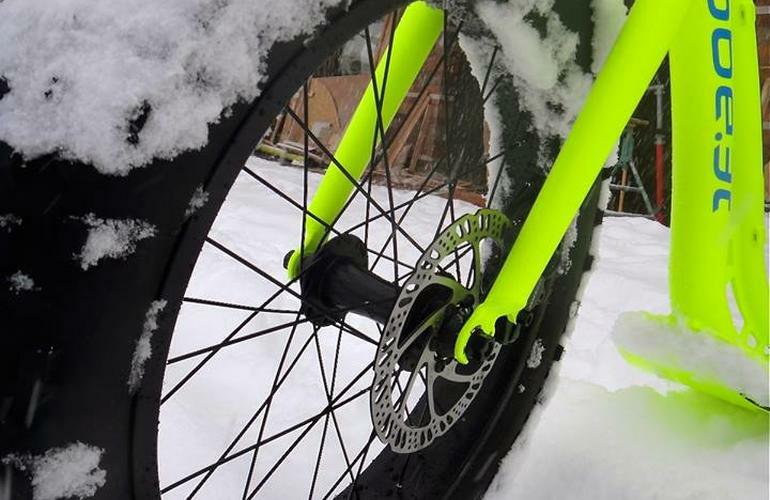 The Fatbike trademark is the unusually large and innovative tyres perfectly adapted to all terrains such as, sand, mud and snow. 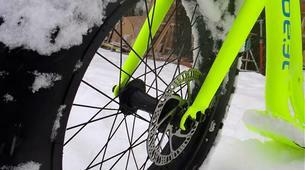 Their width (almost 5 inches) provides maximum stability that grips onto all routes and paths. 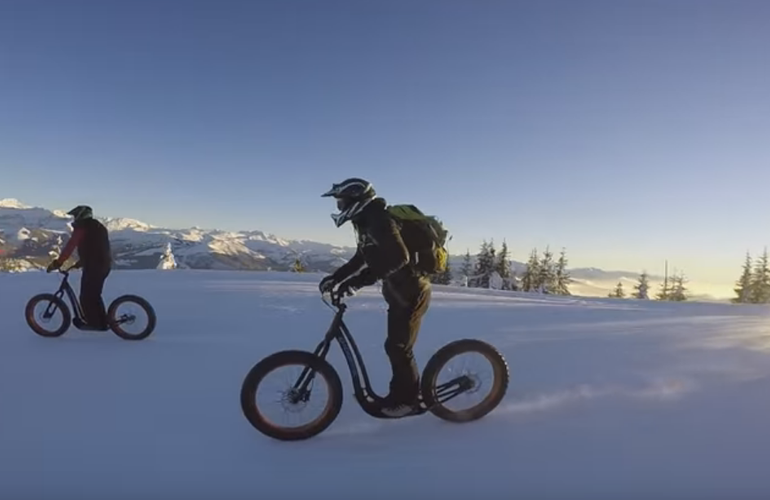 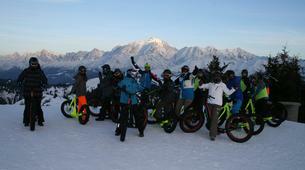 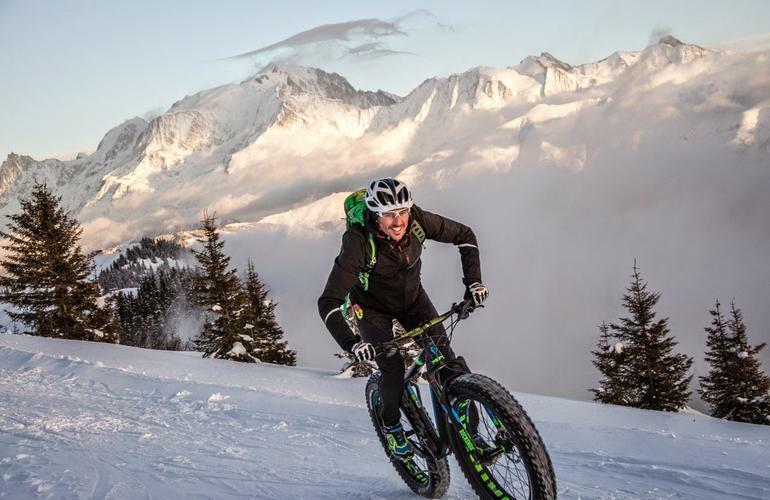 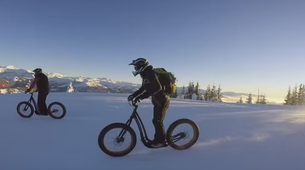 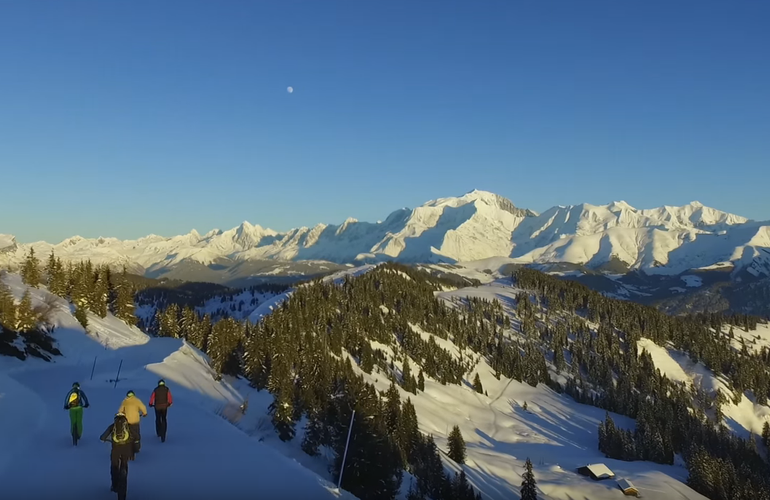 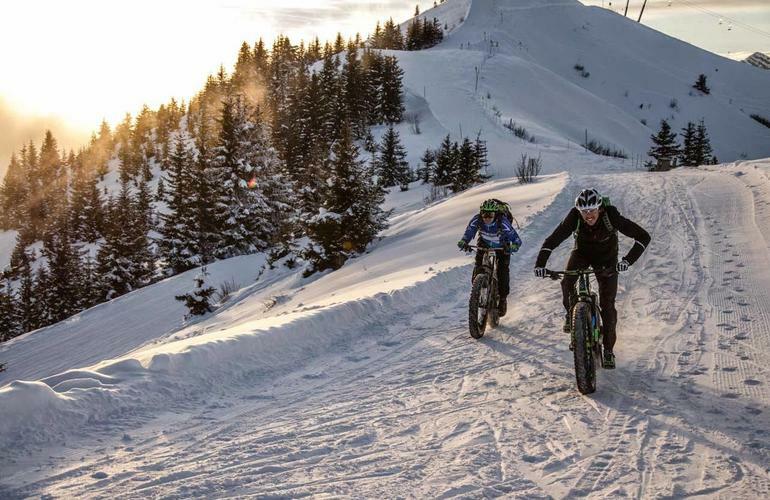 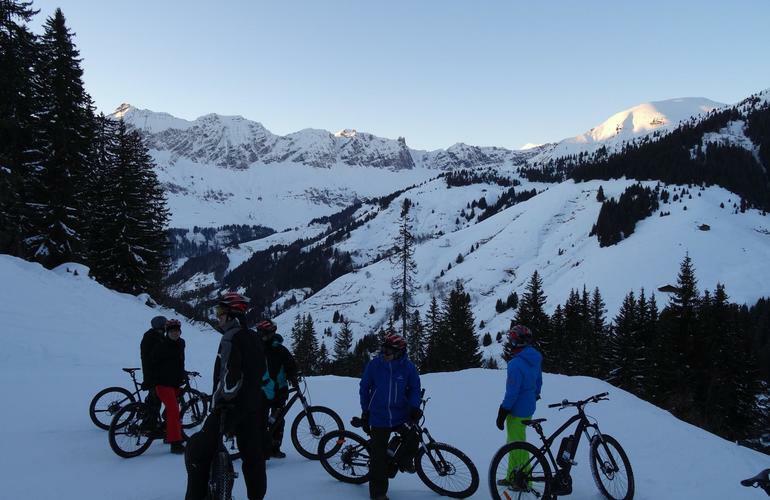 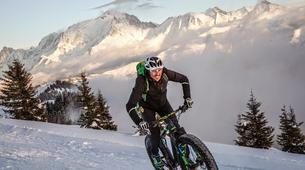 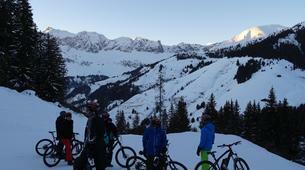 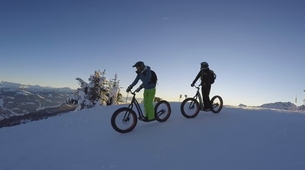 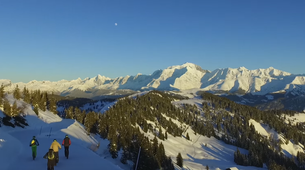 Fatbike is probably the most fun and exhilarating way of travelling on snowy tracks. 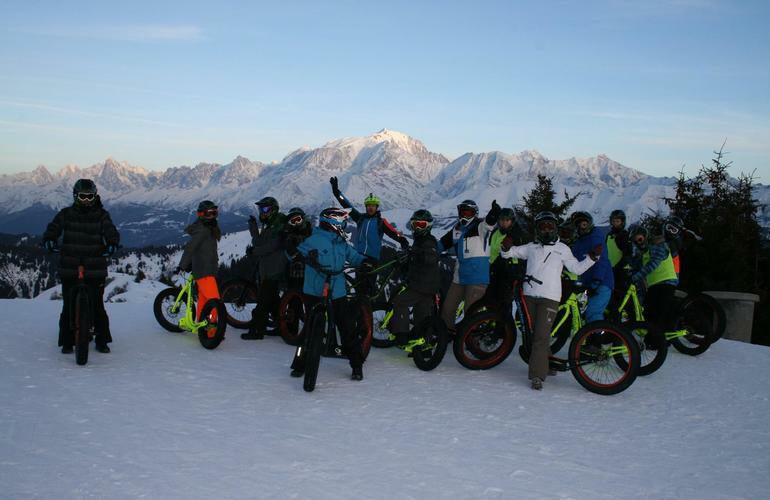 This brand spanking new activity is hot off the French market! 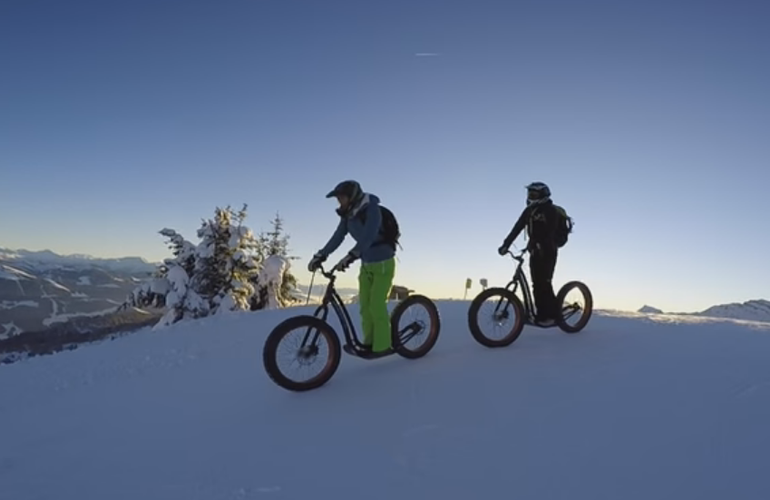 This new and innovative scooter can be comfortably ridden over snow and other extreme terrains. 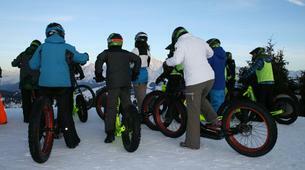 Add speed and momentum to your scooter by skidding to the left or the right. 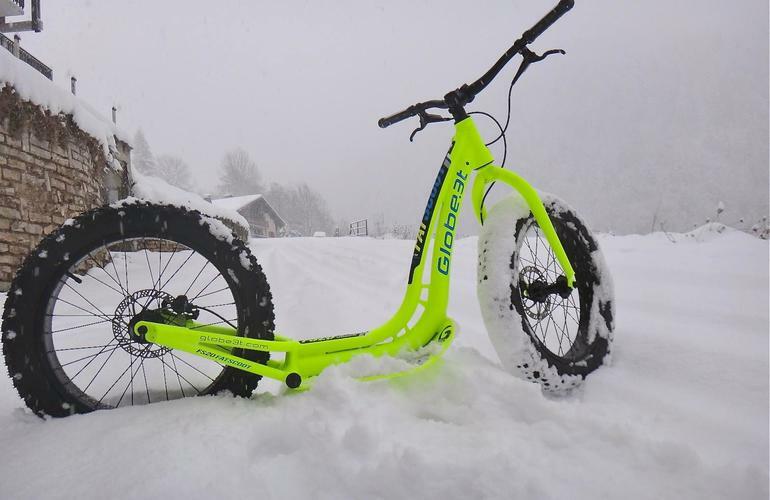 The Fatbike scooter has 4 inch wide tyres and hydraulic disk brakes, but above all it only weighs 9kgs making it super easy to manoeuvre, it can even be used by children (over 1.45 cm). 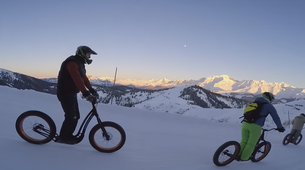 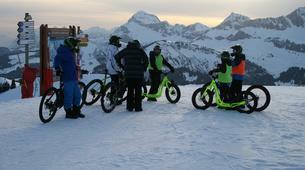 The Fatbike scooter is accessible to everyone; you don’t have to be a mountain biking pro. 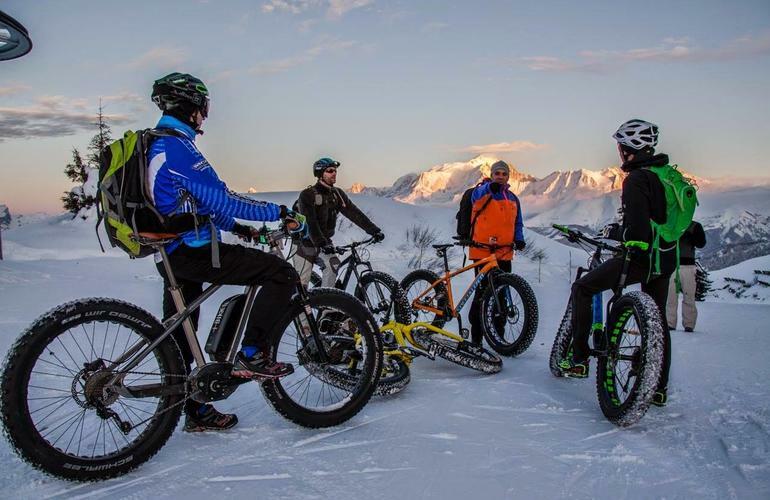 The only requirement is you need to know how to ride a bike. 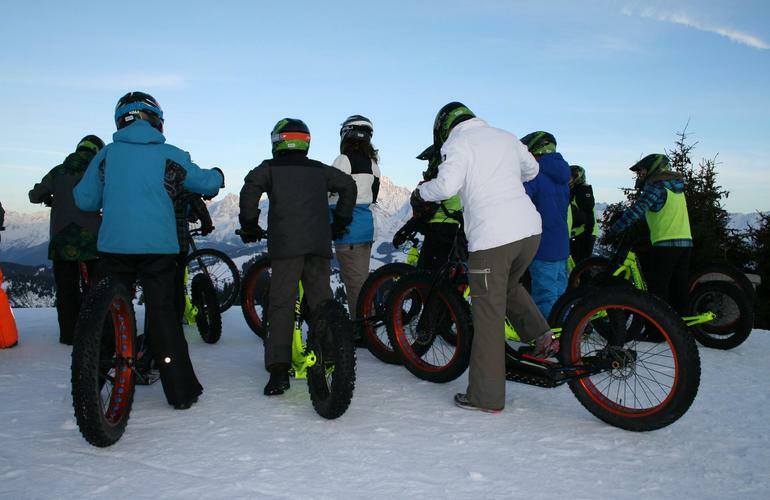 The Fatbike scooter gives you the same adrenaline rush as the Fatbike and can reach speeds of up to 70kmh! 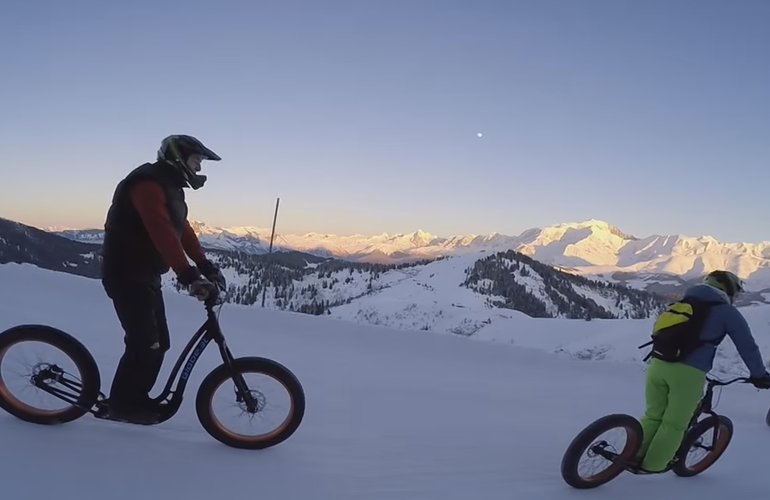 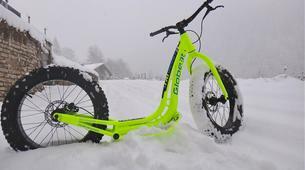 However unlike the Fatbike, the Fatbike scooter is ideal for beginners or occasional bike riders, but the thrill of riding this scooter on snow has even appealed to the more advanced riders. 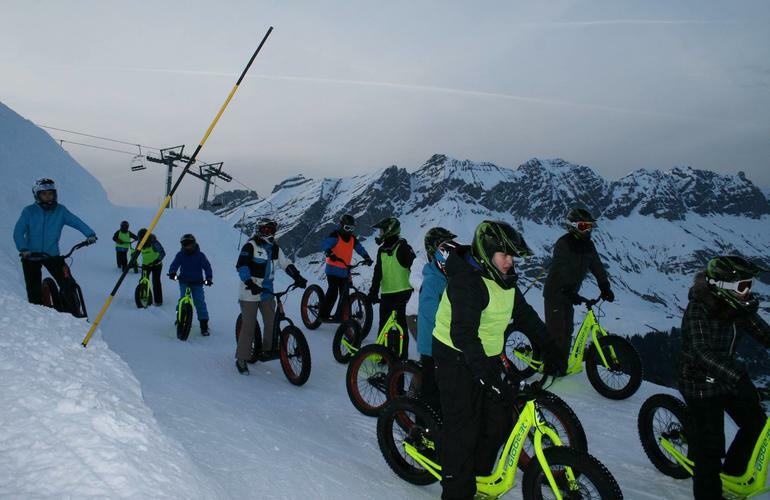 By far one of the most thrilling activities you will ever try! 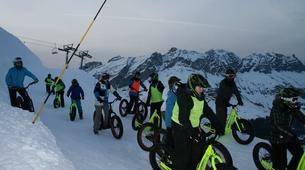 You must be at least 4ft 7” (1.45m) to participate in this activity. 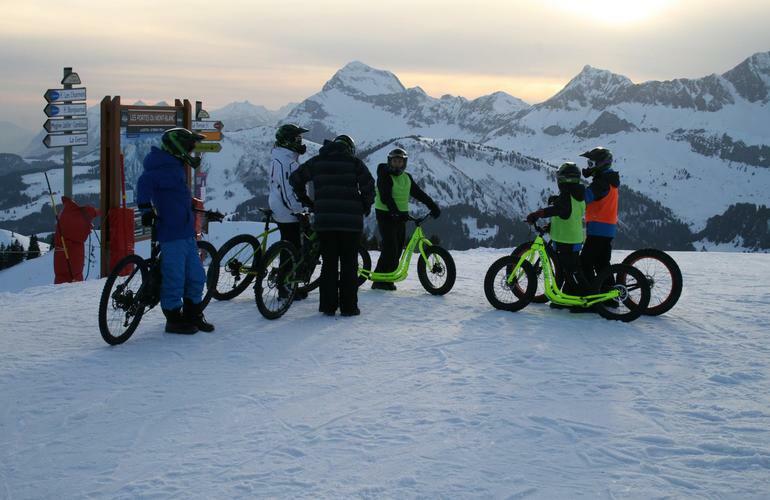 It is imperative that all participants know how to ride a bike.